On August 25, Nemo, the young black Labrador Retriever, was sworn in as a courthouse dog. He is pictued with his two CASA handlers, Judge Nancy Davis and SFCASA Executive Director, Renee Espinoza. Nemo was sworn in as a courthouse dog at the Superior Court of San Francisco on August 25, 2017. 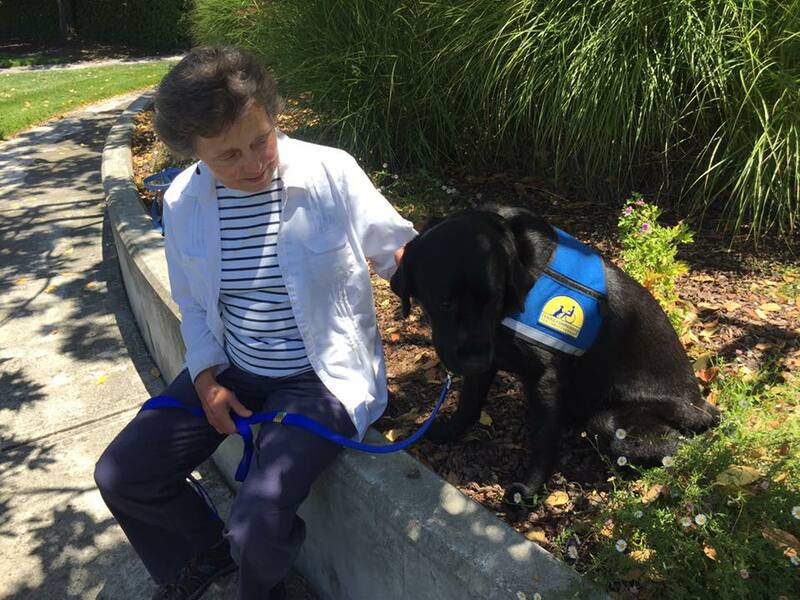 San Francisco County Superior Court Judge Nancy Davis met facility dog Nemo in June 2017. The Superior Court of San Francisco gets a facility dog to make children more comfortable when testifying. In late summer 2017, San Francisco County Superior Court Judge Nancy Davis “swore-in” a young black Labrador Retriever named Nemo. The dog will provide comfort and company to children coming through dependency court. The dog’s warm reception by court staff and their children was three years in the making when Judge Davis and SFCASA Executive Director Renee Espinoza began talks to form this unique partnership. Music: "Into Toast Squares" by Mole. Over the years, Judge Davis has sworn-in more than a hundred CASA volunteers, trained to advocate in the interest of youth living in foster care. Now, after swearing-in CASA volunteers to serve as facility dog handlers, the family court and the youth it serves will have access to a service dog rooted in San Francisco County for many years to come.